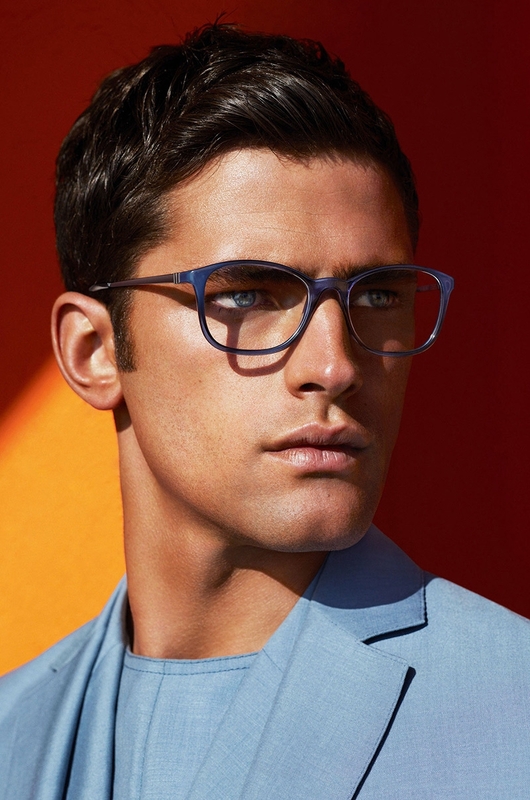 Supermodel Sean O’Pry features in Salvatore Ferragamo’s spring/summer 2014 menswear campaign. The essence of the collection was shot beautifully by Mert & Marcus, which highlighted colours and close-up details. The Italians always get it right; this Salvatore Ferragamo campaign showcases the models stepping into sunlight with their sun-kissed skin. The shadows add a sense of relatability to the campaign, which somehow makes the collection more ready-to-wear rather than runway only. The featured model, Seaon O’Pry, is currently ranked number one on the MODELS.com “top 50 male models” list. He’s held the position for the last two years and has been named “most successful male model” in 2009 by Forbes. He is seen wearing an all-white outfit styled with black leather brogues and a metallic blue, light-weight jacket. Salvatore Ferragamo based their S/S 2014 collection on simple garments, such as this stunning powder blue, three-piece suit. The impeccable tailoring and detailed lining is a testament to how intricately the Italian luxury brand tailors. We are digging the use of this particular shade of blue for spring/summer; it gives the look a Mediterranean flare. For more information on Salvatore Ferragamo visit here.